Cardiac stenting, or percutaneous coronary intervention (PCI), is recommended for people who suffer from narrow or blocked coronary arteries as a result of coronary artery disease (CAD). It is also used as an emergency treatment for heart attack cases by quickly opening the blockage and reducing heart muscle damage. The catheter is then threaded through the inside of the artery back into an area of narrowing or blockage, where the balloon is inflated to compress the plaque against the artery wall to restore blood flow through the blood vessel. A cardiac stent is a small hollow mesh that is used to widen arteries supplying the heart that have significant narrowings. It is often used in angioplasty to prevent arteries from becoming narrowed or blocked again in the months or years after angioplasty. 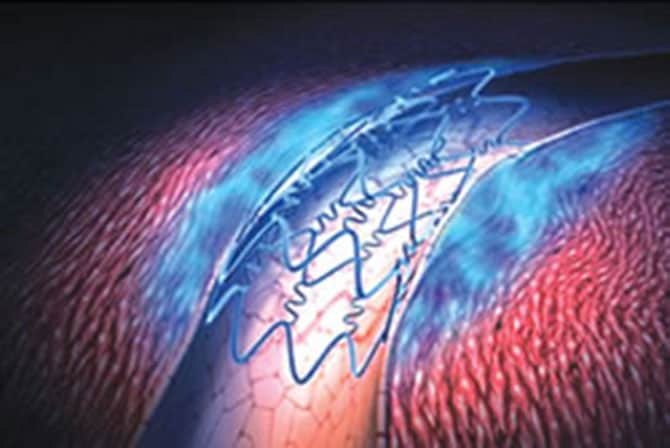 Cardiac stents are also used to repair torn arteries including the aorta – large blood vessel that carries blood out of the heart – or bulges in arteries (aneurysms). What risks do PCI bring? Although chest pain can occur during PCI, this is often transient because the balloon briefly blocks off the blood supply to the heart. Bleeding from the insertion point in the groin or arm is common, in part due to the use of anti-platelet clotting drugs. Some bruising is therefore to be expected. PCI is used to widen narrowed blood vessels and increase the blood flow to the heart. This decreases the risk of a heart attack, while reducing the discomfort and progress of coronary artery disease. It is minimally-invasive, as the procedure only requires a very small puncture for the catheter to be threaded into the coronary arteries. Patients are kept at least overnight for observation after the procedure and discharged within 24 hours after PCI. They are cautioned not to do any vigorous activity or lift heavy items or weights for about one to two weeks. Some patients may be referred to a rehabilitation centre but most patients are able to continue working (not physically intensive) in about three days after PCI.